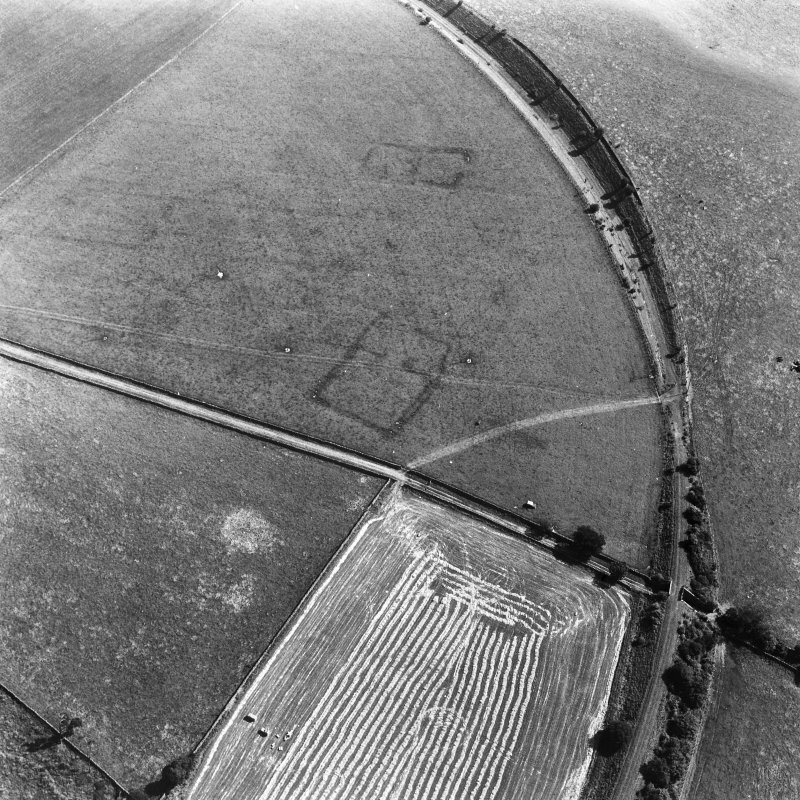 Caddonlee, oblique aerial view, taken from the SW, centred on the cropmarks of an enclosure. 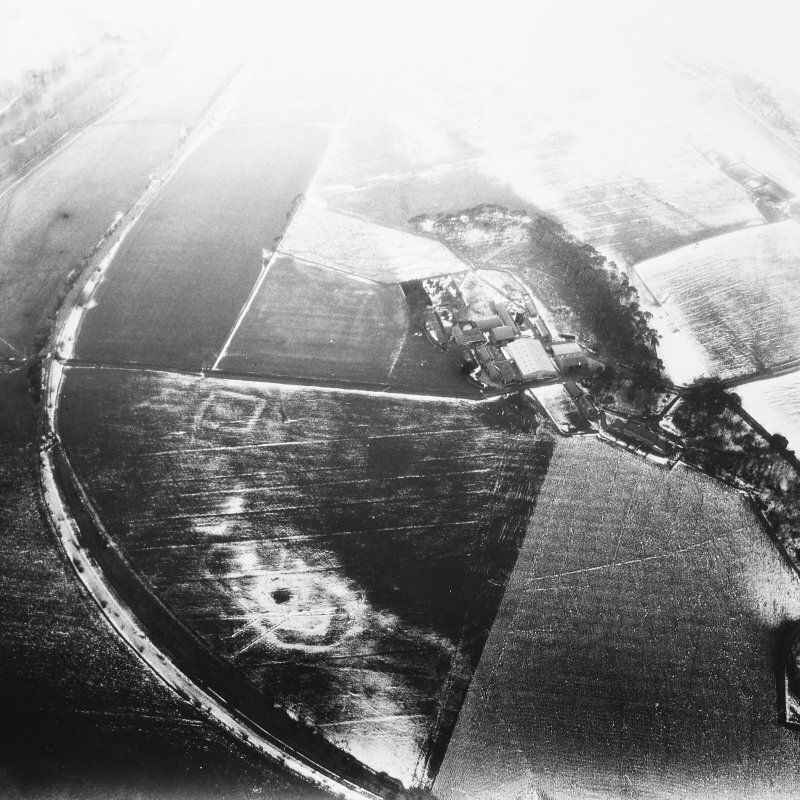 Caddonlee, oblique aerial view, taken from the WSW, centred on the cropmarks of an enclosure. 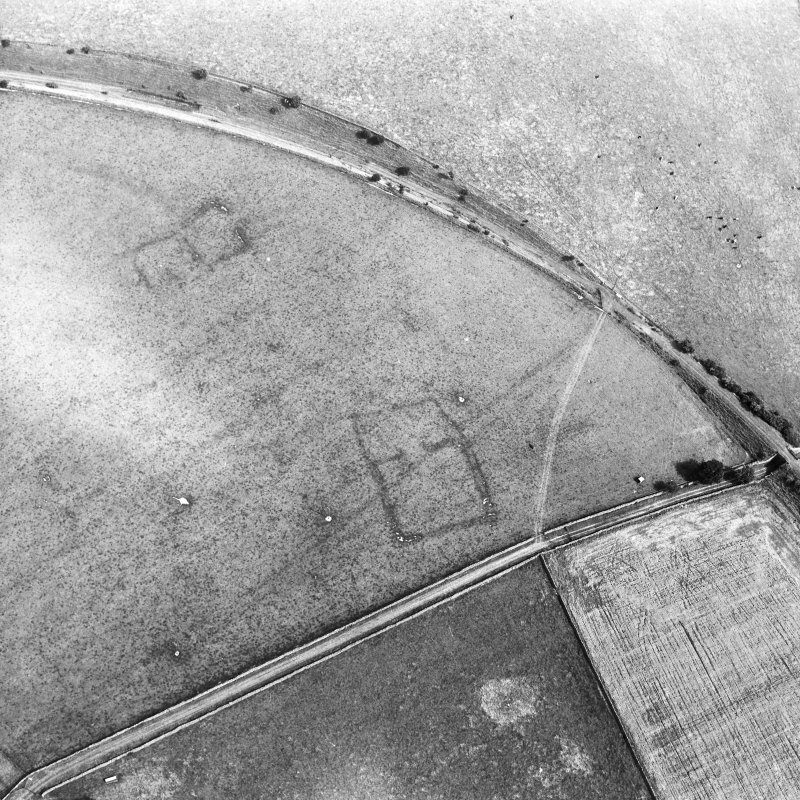 Oblique aerial view of Caddonlee centred on the cropmarks of two enclosures, taken from the E.
Oblique aerial view of Caddonlee centred on the cropmarks of two enclosures with the village adjacent, taken from the SE. 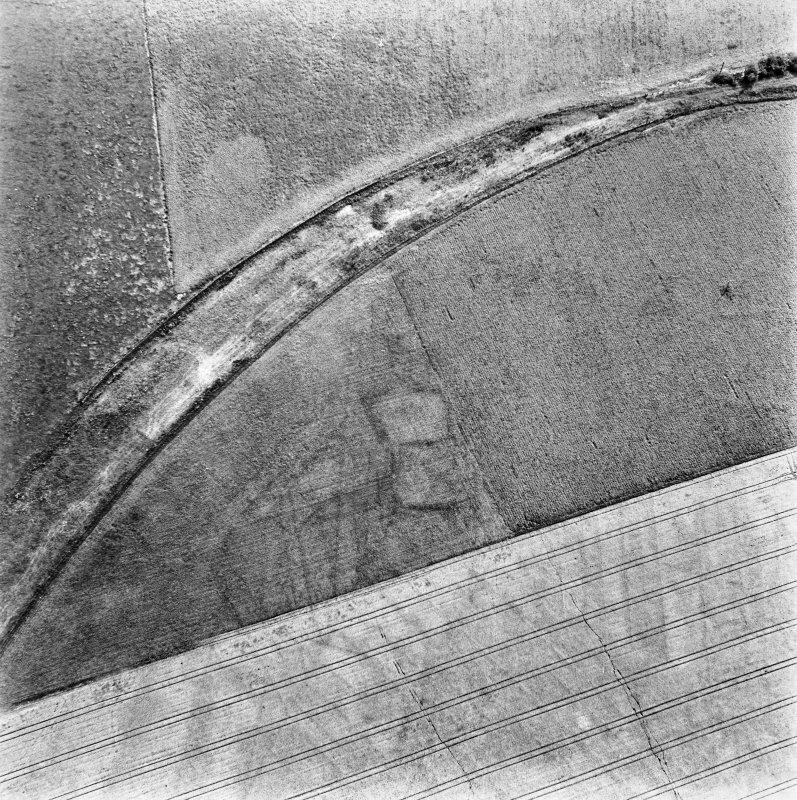 Oblique aerial view centred on the cropmarks of the enclosure with the enclosure adjacent, taken from the NE. 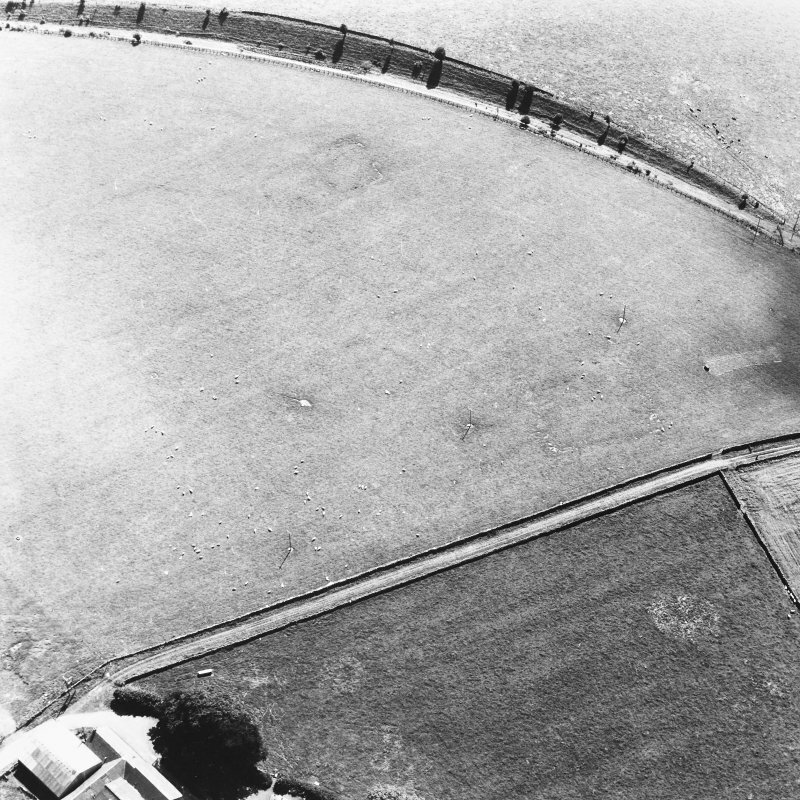 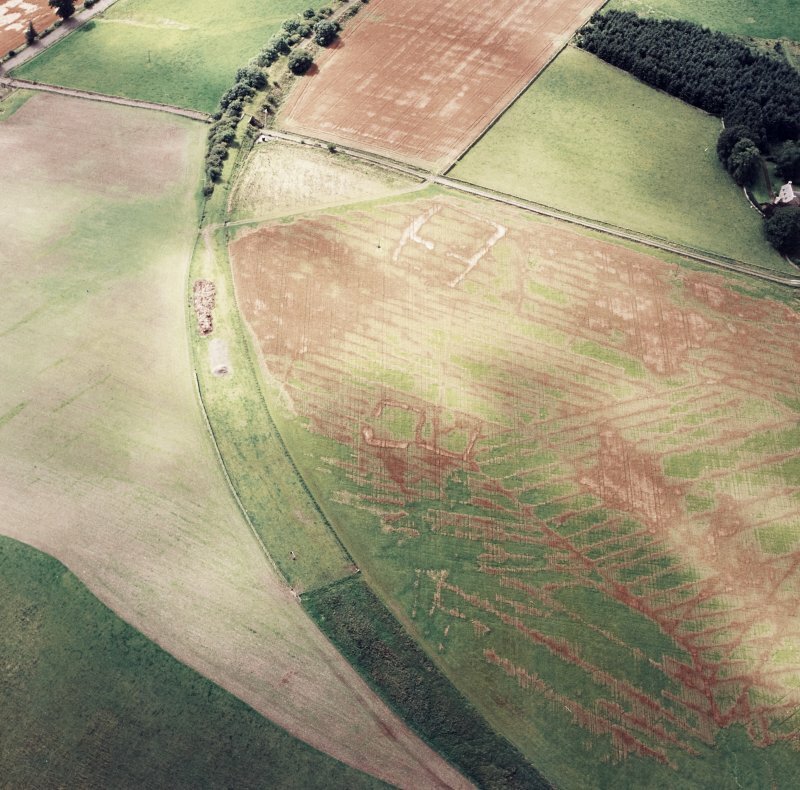 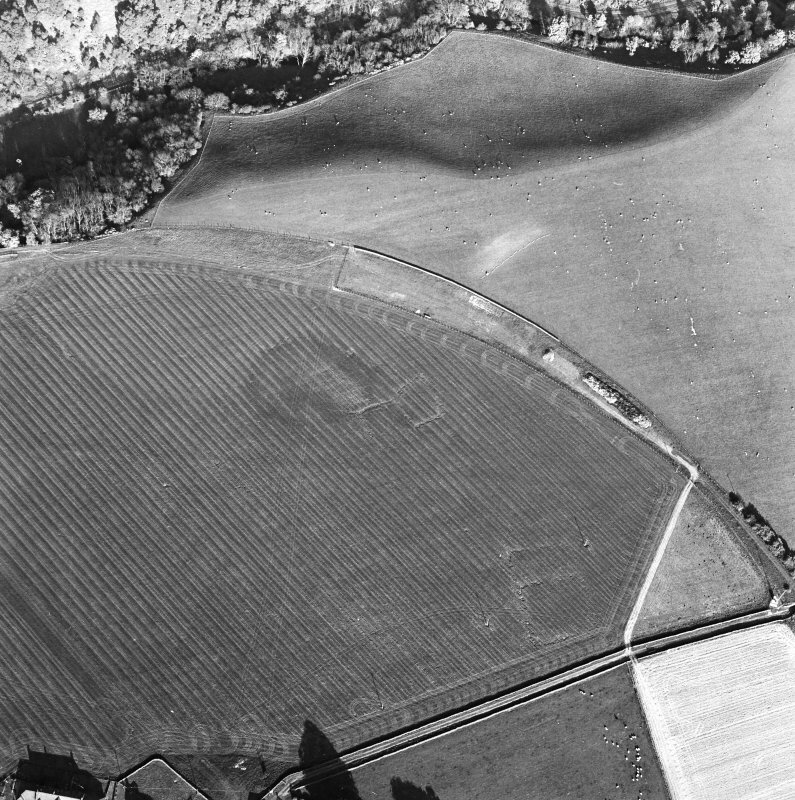 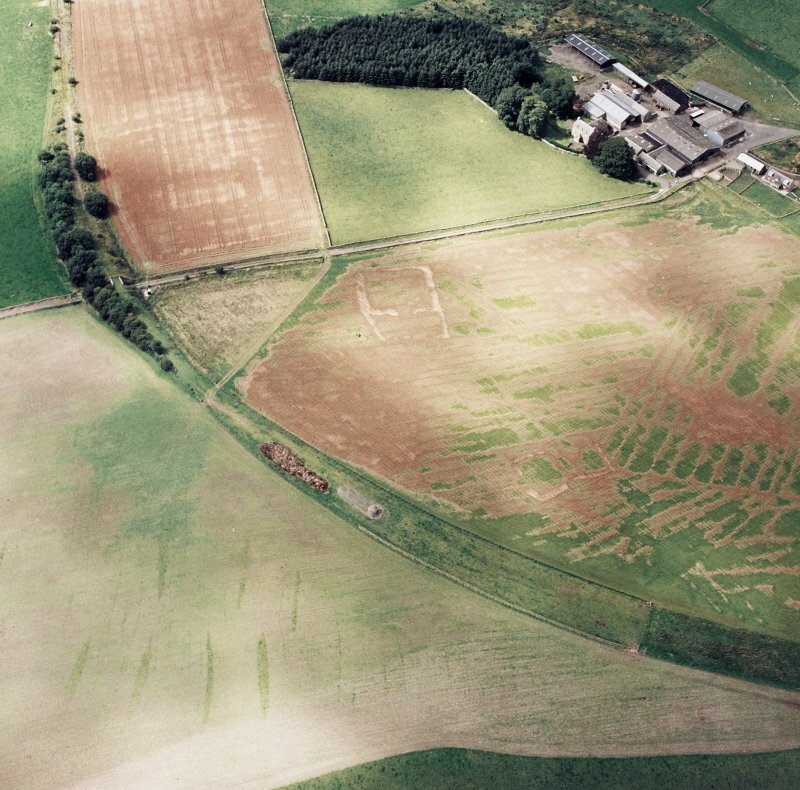 Caddonlee, oblique aerial view, taken from the N, centred on the cropmarks of an enclosure. 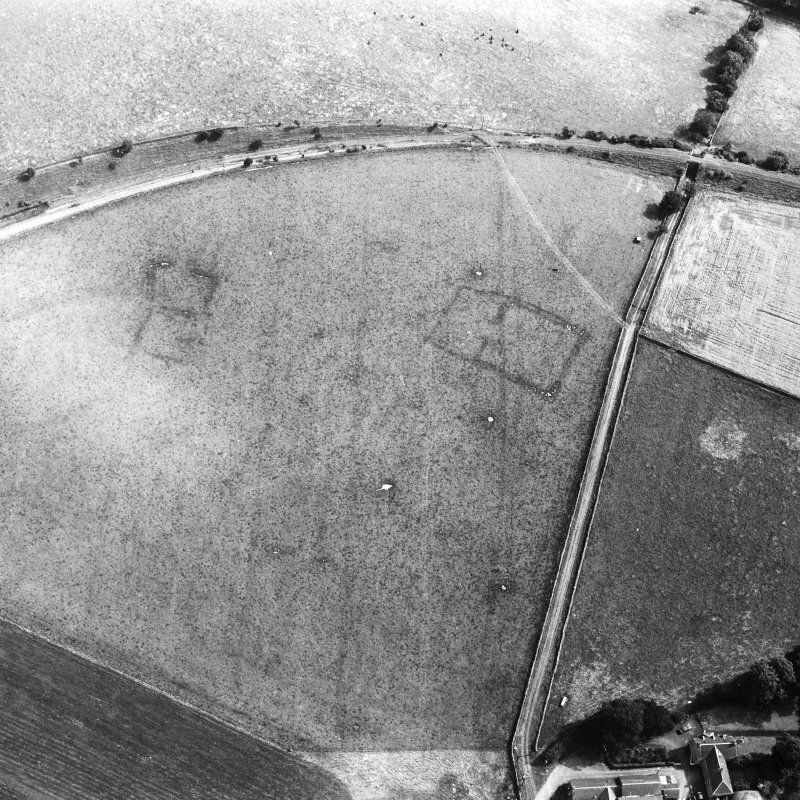 Caddonlee, oblique aerial view, taken from the NW, centred on the cropmarks of an enclosure. 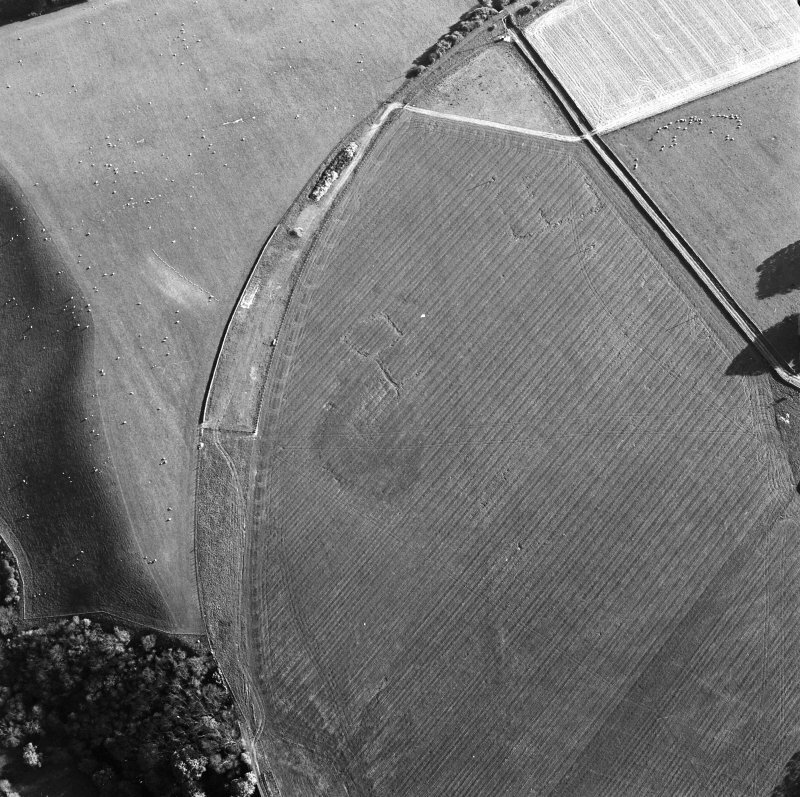 Oblique aerial view centred on the cropmarks of the enclosure with the enclosure adjacent, taken from the NW. 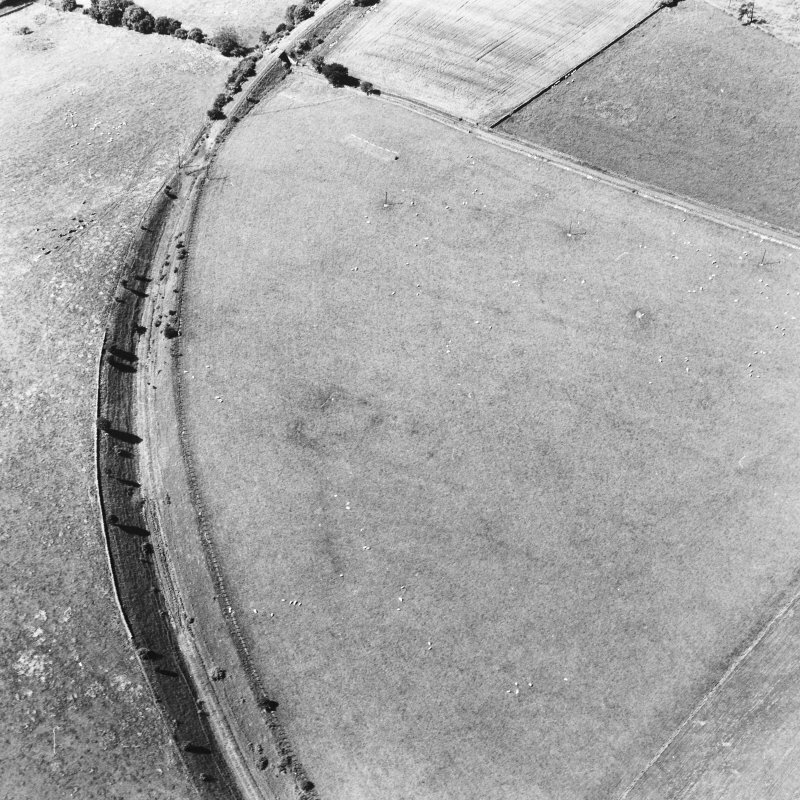 Oblique aerial view of Caddonlee centred on the cropmarks of two enclosures, taken from the NE. 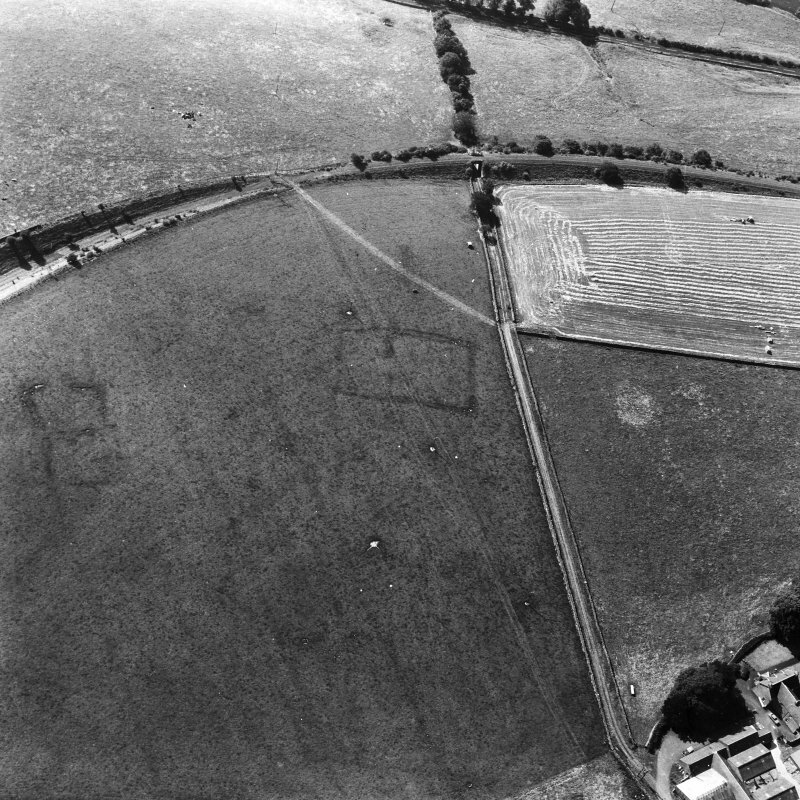 NT 445 353. 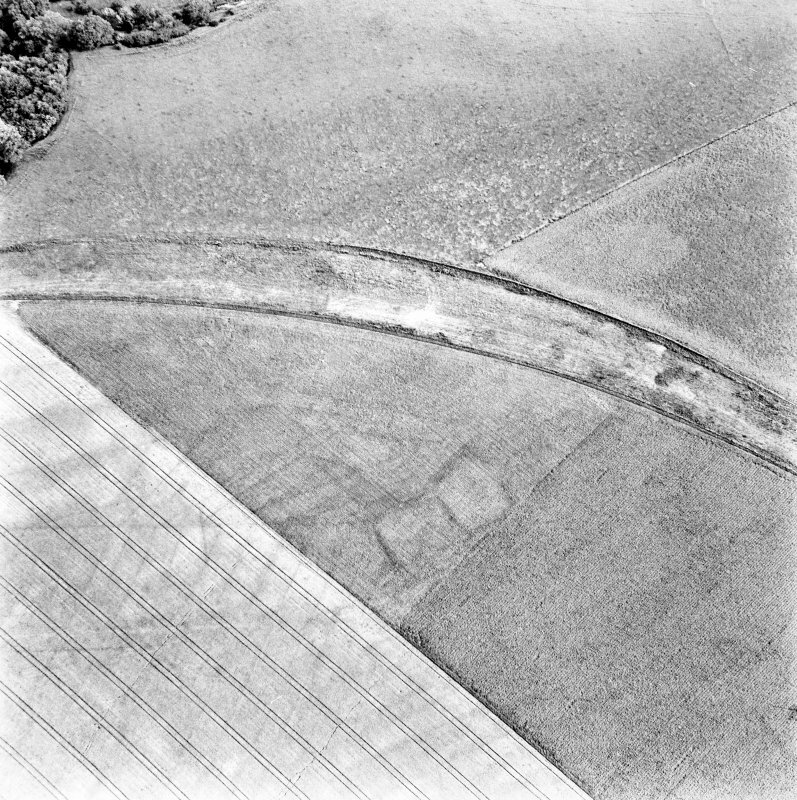 Enclosure, Caddonfoot: visible on air photographs. 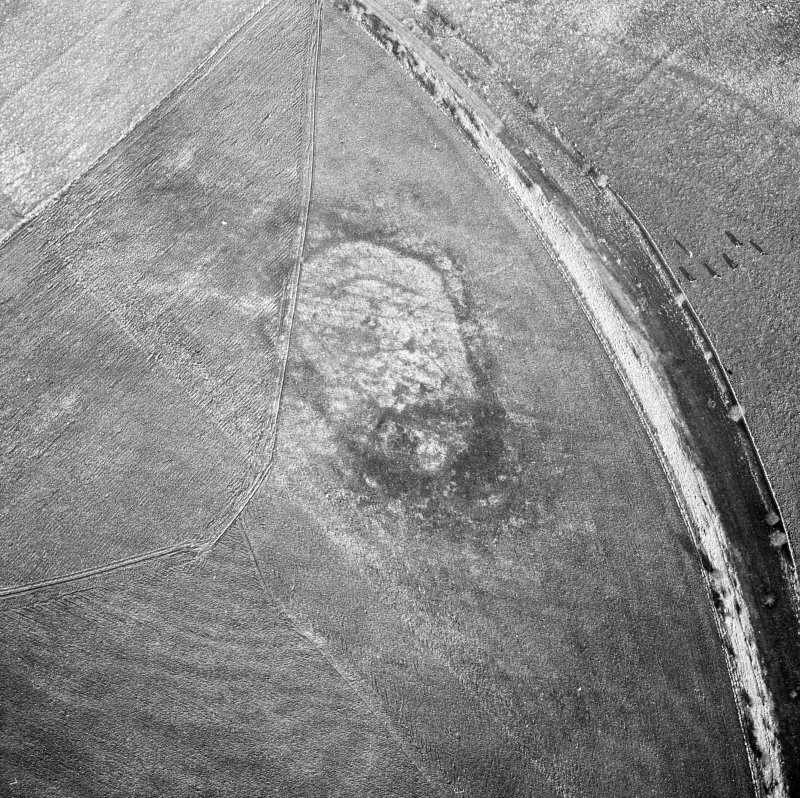 NT 4458 3534. 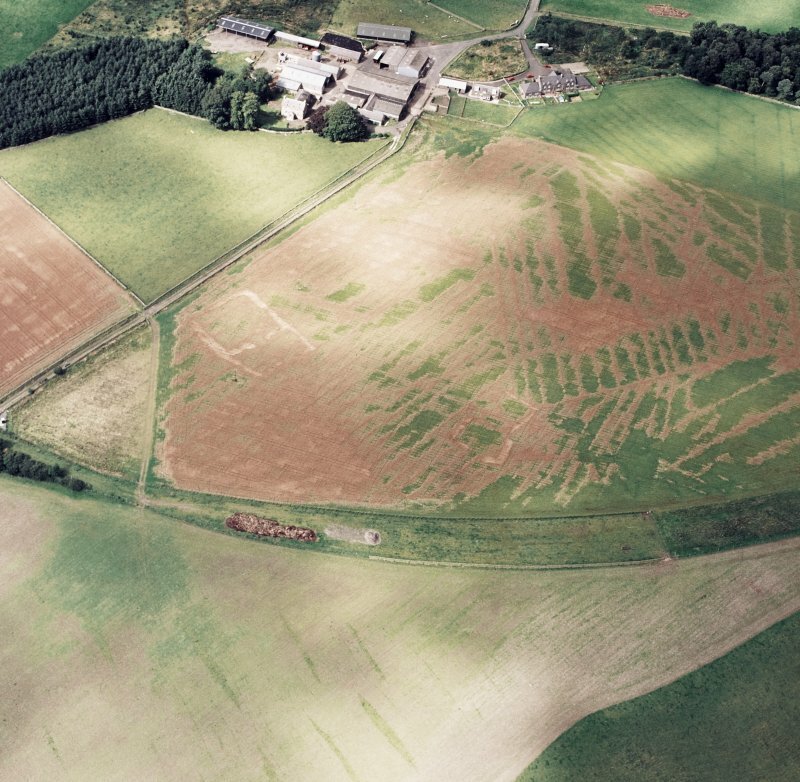 A ploughed-down, subrectangular ditched enclosure is situated on arable ground at Caddonlee farm. 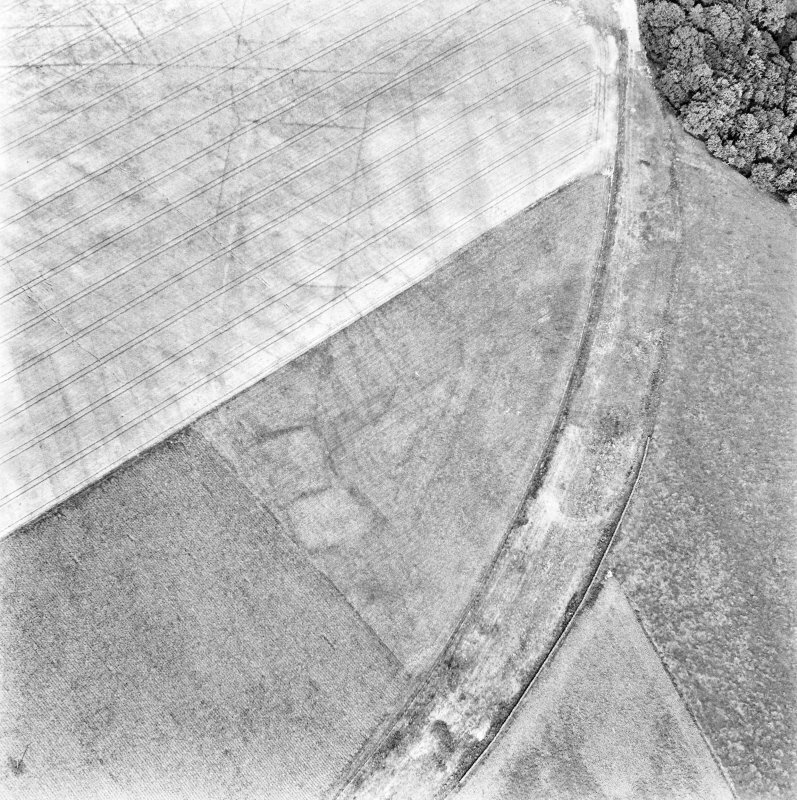 It is subdivided and measures 36.0 m by 24.0 m and is traceable as a spread ditch which is approximately 3.7 m wide and up to 0.2 m deep. 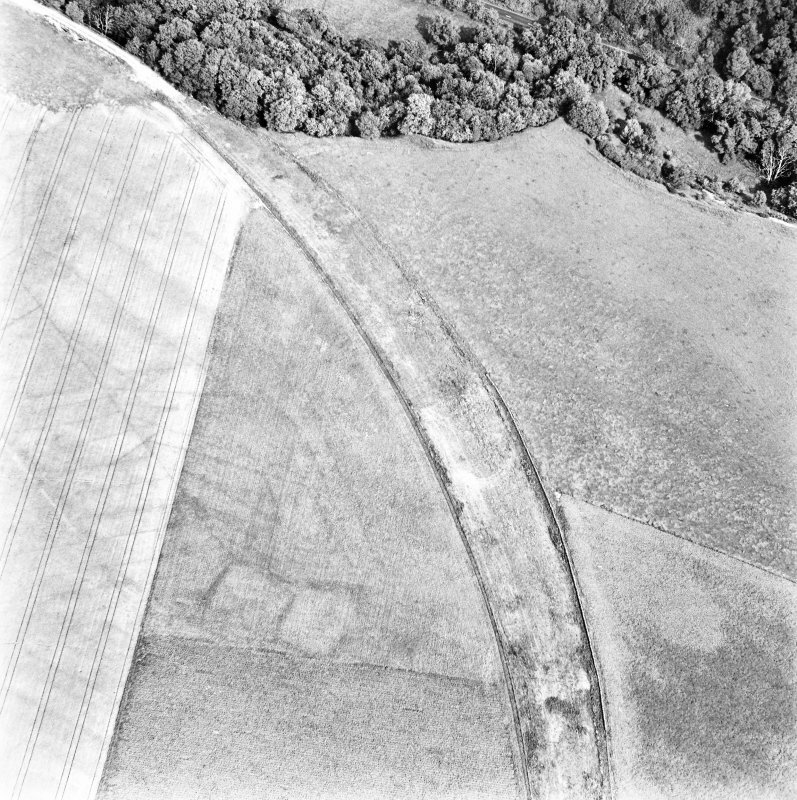 There is no evidence of an upcast bank. 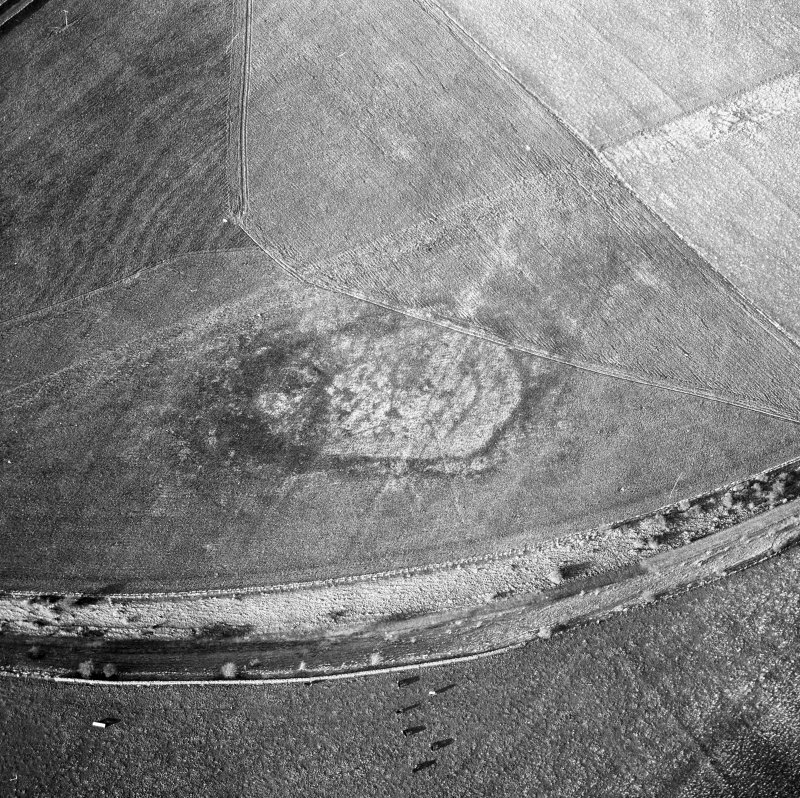 It cannot be dismissed as a minor feature and only excavation will reveal its origin and purpose. 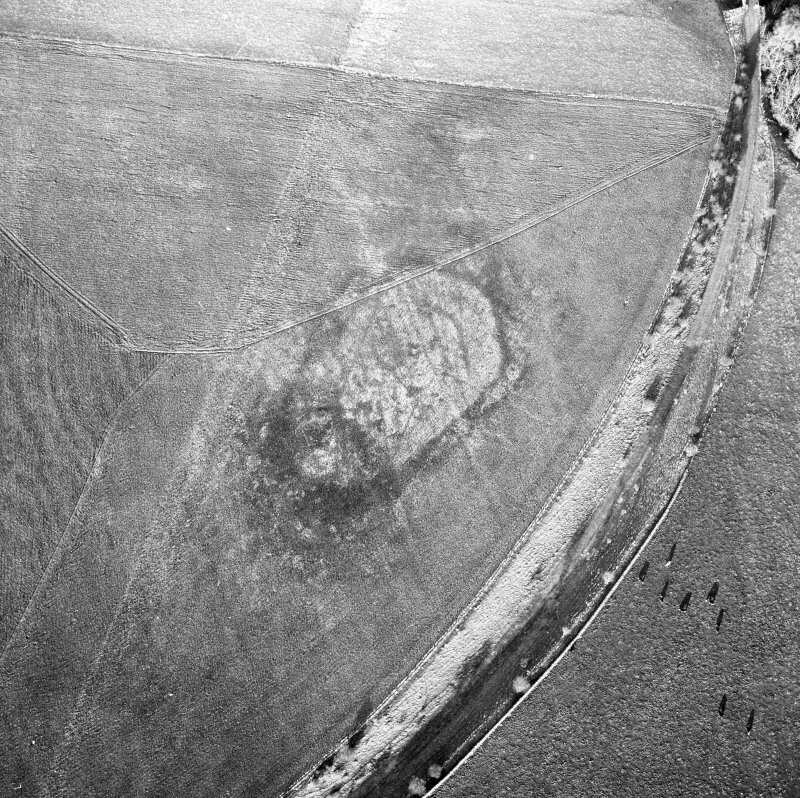 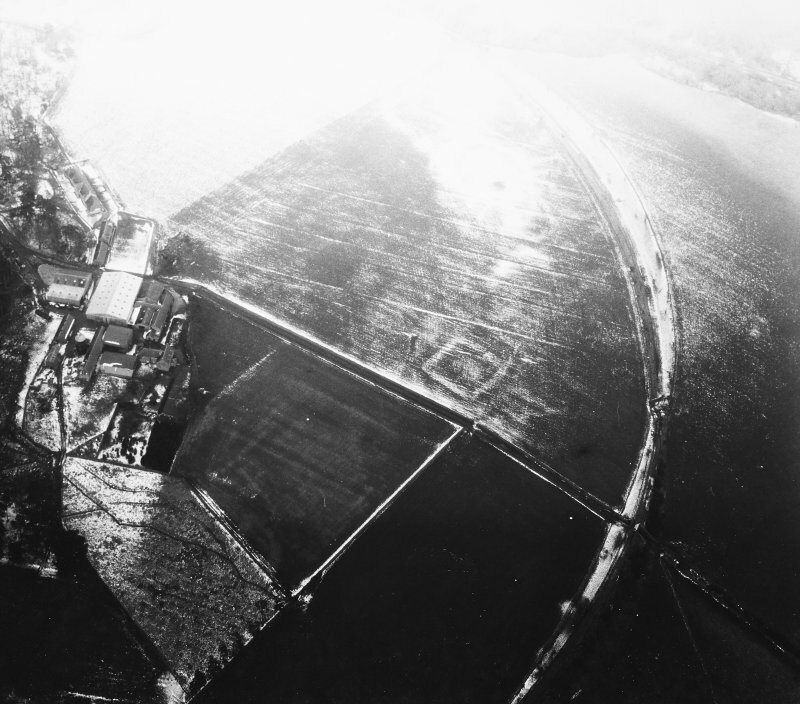 Additional aerial photographs taken by the RCAHMS in 1976, 1980, 1982 and 1996.